Some friends and I were hanging out at a buddy’s house when we started giving him a hard time about his collection of action figures he kept on his bedroom shelves. He’d been buying and selling them all his life. There they sat, still in the box he purchased them in, unused and protected in their special place. After looking at one I put it back on the shelf, apparently in the wrong position because he immediately scooped it up and placed it back in its original hallowed spot. It seemed crazy to me that someone would just keep them almost hermetically sealed and pristine for so long. Some of them even carried a signature from an actor who played a role on the TV series the figure came from. He almost went ballistic when a friend suggested we open one to see it more closely. It was crazy. He tried to defend himself by turning to me and asking me how many bottles of wine I had tucked away in my cellar. I wasn’t following his point. 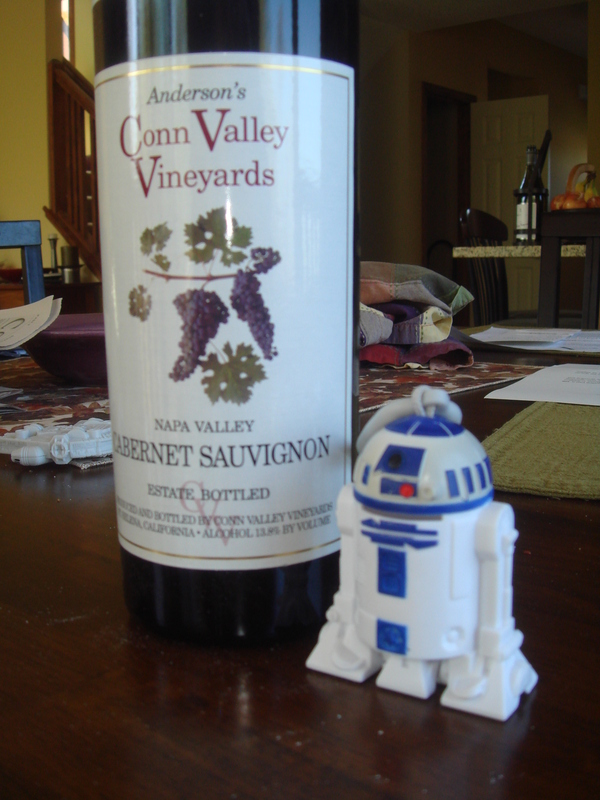 He asked if we could open one of my Conn Valley Cabernets. Indignantly I told him he was mad to even think of already opening something from the 2005 vintage. He then suggested we open a 2004 Cerbaiona Brunello. “Maybe in ten years,” I retorted, laughing. “How about a Chateau Branaire?” he asked. “Sorry, man. Those are in their original wooden box. I might sell them someday,” I replied (years ago I bought those at a great price and I’m sure some adoring fan would be happy to have them). “Then let’s have your bottle of Dashe Zin,” he continued. Jeez, was this guy insane? Everyone knows you don’t keep a full bodied California Zinfandel in the medium bodied Italian varietal section. Don’t get me wrong. He’s a nice guy. He’s just a little over zelous with his collection. And recommending that we open my signed bottle of Dashe? Honestly! This week’s recommendation is for the nerdier wine enthusiast. Marquis de Fonsequille 2007, Vacqueyras ($17.99): Vacqueyras is a little known and under-appreciated appellation in the southern Rhone region of France. MdF is big and tannic, yet structured and balanced. It has a meaty gaminess wrapped up in a medium body: A great match for red meats. You are currently browsing the archives for the Vacqueyras category.